Finnegan's Brew Company in Minnesota will give three lucky winners the ultimate vacation to visit their brewery in Minnesota! Three (3) Grand Prizes are available to be won. 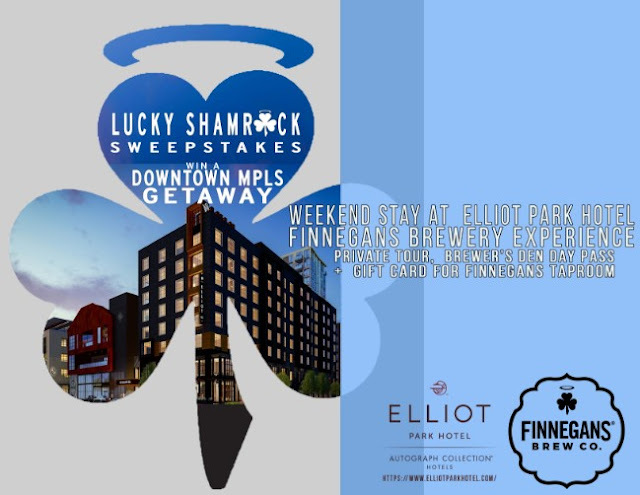 Each Grand Prize includes 2 consecutive nights stay at the Elliot Park Hotel, and a FINNEGANS Brewery Experience including a $50 Gift Card, Private Tour and 2 Brewer’s Den Passes. The ARV of Grand Prize: $950.00 each. NOTE: You DO NOT have to buy anything in order to enter this sweepstakes. The spot to enter online is sort of hidden but can be found by clicking the link way down at the bottom that says "clicking here". Also, be aware, they are located in Minnesota and there is NO TRANSPORTATION INCLUDED in the prize. This Sweepstakes ends on 10/30/18 and you can ENTER ONCE to win.